John Wick directors Chad Stahelski and David Leitch may have made the journey together from stunt coordinators and second unit directors to helming features, but they’ve recently set off on diverging paths. For starters, John Wick: Chapter Two will be a solo venture for Stahelski, as Leitch left to be the architect of The Coldest City, starring Charlize Theron. Then Leitch was entrusted with a new franchise as the director of Deadpool 2, following Tim Miller’s departure last month. But Stahelski’s not really being left in his 87eleven co-founder’s dust—he’s picked up a franchise of his own, with just a hint of Ryan Reynolds. 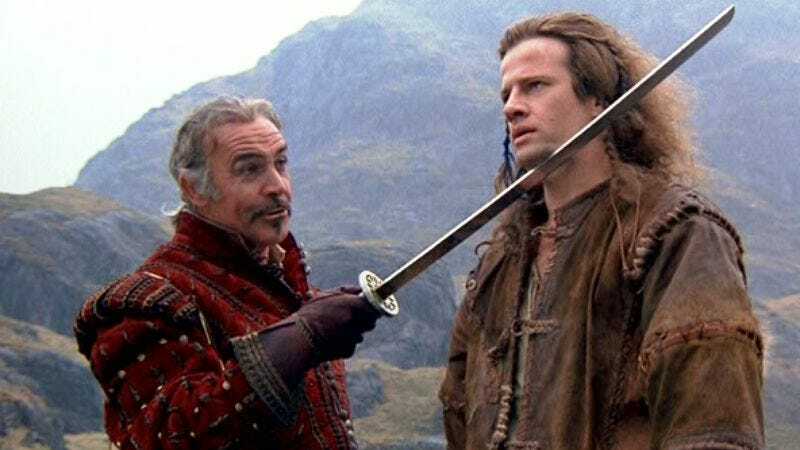 Variety reports that Lionsgate has anointed Stahelski as the new helmer of the Highlander reboot that’s been kicking around for years, and to which Reynolds was once attached (though that thankfully did not work out). There’s no word on who will follow in Christopher Lambert, Sean Connery, Mario Van Peebles, and Adrian Paul’s footsteps, but if Keanu Reeves’ John Wick gunwork is any indication, they’ll have to be handy with a sword.